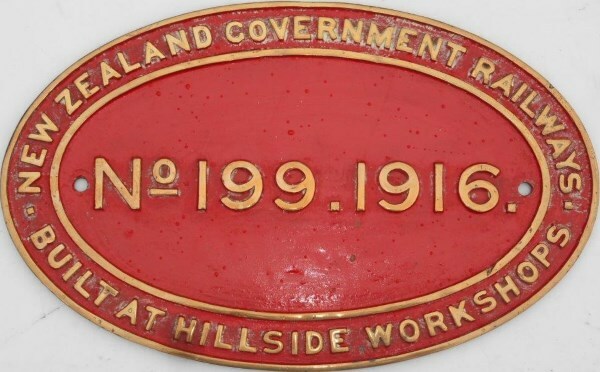 Lot 124 Brass Oval Steam Locomotive Worksplate "NEW ZEALAND GOVERNMENT RAILWAYS - No 199. 1916 - BUILT AT HILLSIDE WORKSHOPS. Size 17" x 11". As removed condition.